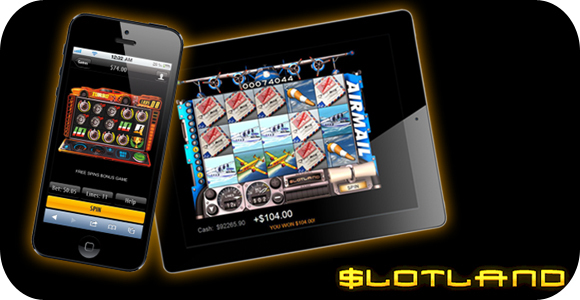 In efforts to help improve their user interface, Slotland, one of the largest and well-known online slots game providers, has decided to upgrade their mobile games. With their upgrades players will be able to enjoy the games even more than before, as many features have been changed thanks to user input and recommendations. You could split the improvements into Interface and Game-Play. With the mobile market growing, and the smartphones using different sized screens, it was important for the slot games to fit correctly and use all the space available in a more efficient way. This is why one of the more important upgrades was to allow the games to better use the small screen space. In this case, when players switch to landscape mode, the reels will become 50% bigger than they were before. This small, yes significant change allows players to better see the game, theme, and actually enjoy it much more. On top of increasing the size of the game by 50% when using landscape mode, players will also get the benefit of repositioned buttons. Most users play with their thumbs in this scenario, and by changing the position of the buttons, they allow for a much better thumb-tapping experience. Slotland is focusing heavily on user experience, as they have already done the base work for getting the games onto the smartphones. They recently added a new game, Vegas Vibes, so players can get a great Vegas-style game to enjoy with the rest of them.